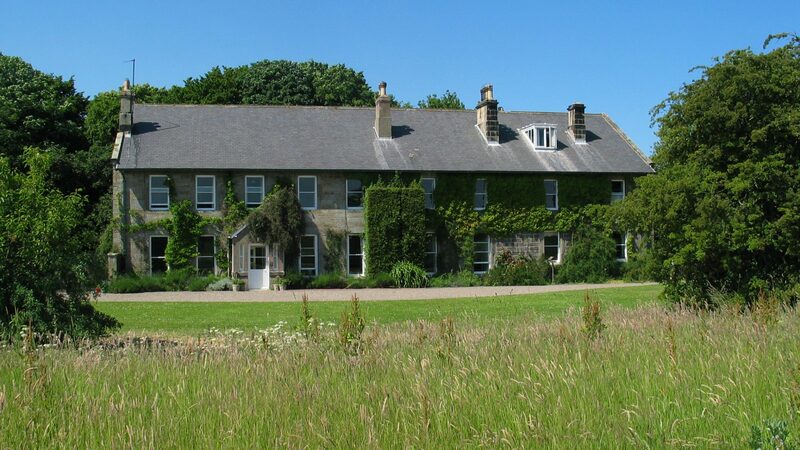 Relax amid 2,500 acres of prime Northumberland estate. 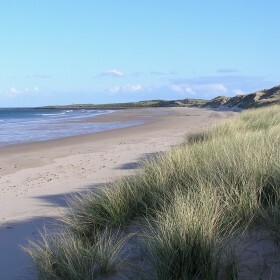 Walk the two miles to Beadnell Bay. 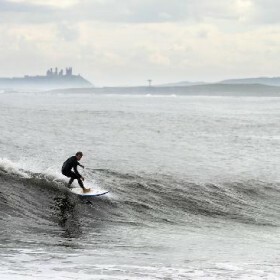 Northumberland’s castles and coast beg bracing and breezy exploration. 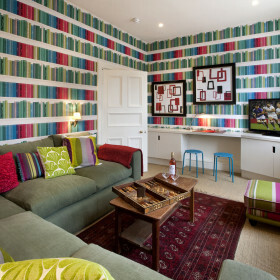 The Coast House offers luxurious fun for families and friends. 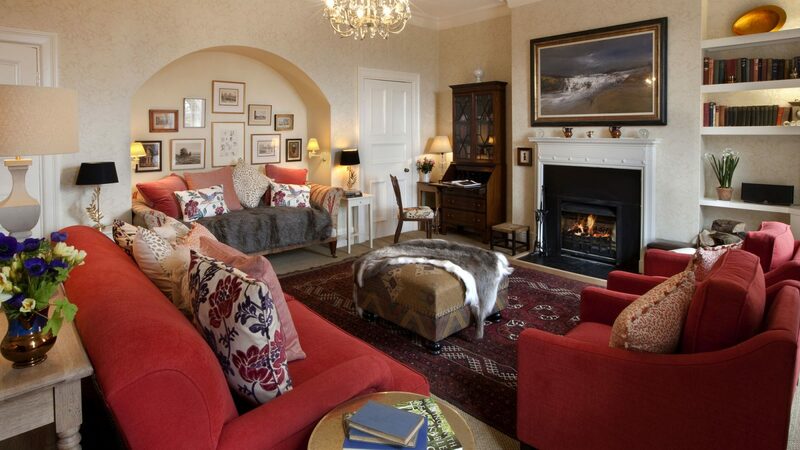 Close to Northumberland’s unspoilt Heritage Coast, The Coast House is large, laid back and the last word in luxury. Step into the atmospheric hall and you know you are set for a good time. 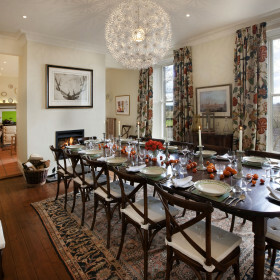 There’s dining for everyone, elegance galore in the drawing room, a hall for pre-prandial tipples or games. Curl up with a classic on squishy sofas, play pool and table football in the snug or relax with a rom-com in front of bedroom TVs. Designer touches abound in every room. The Coast House is wired for a good time, with Wi-Fi, i-docks and a large TV. 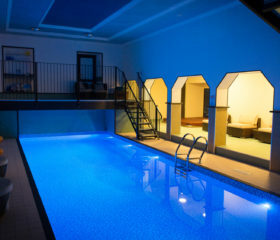 This is hotel living without the restrictions. Baths are standalone, kitchen islands are massive, fabulous en-suite bedrooms come with individual themes. 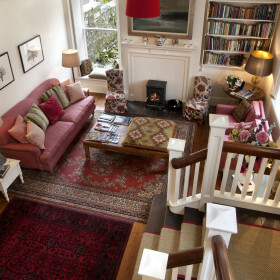 The main house sleeps sixteen with space for 12 further guests in three cottages. 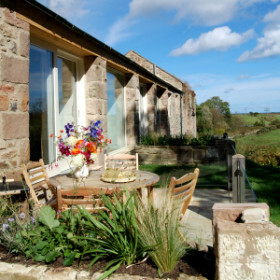 The Coast House is set in lovely gardens on an organic farm stretching to within two fields of unspoilt, sandy Northumberland beaches. 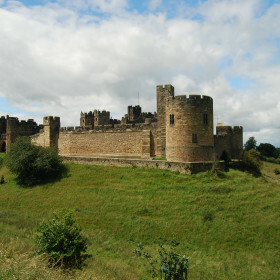 Out and about, Northumberland is all about castles and coast – and the bright lights of Newcastle are three quarters of an hour away. Prefer wildlife to nightlife? Get back to base and spot otters, red squirrels, deer and birdlife. 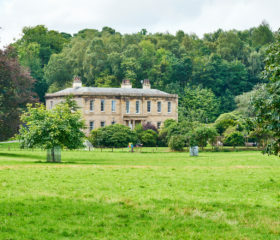 The Coast House sits within 2,500 acres of mature gardens and grounds. 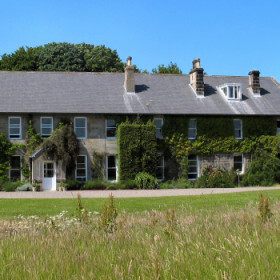 For a breath of fresh air step out on to the front lawn with just a ha-ha separating you from miles of fields and a view of the sea. 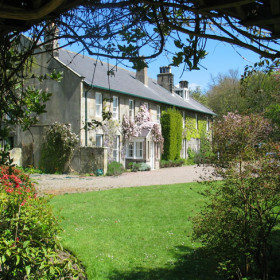 The Coast House sits within private and beautifully-maintained mature gardens, which includes a secluded children’s play area for the little ones to let off steam. 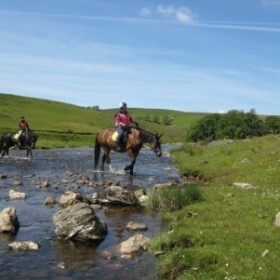 A stable yard is available for any guests who wish to bring their own horses to ride on the many bridle paths and local beaches. The stables can also be used for the storage of outdoor kit and for dogs to sleep in during the warmer months. 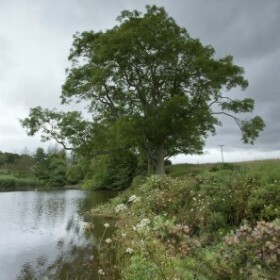 The Coast House has had a watermill for hundreds of years, below the mill is a beautiful lake, stocked with trout, where you are welcome to fish during your stay. The light and spacious living spaces open out from a fabulous large hall with seating area, log-burner, piano and ipod dock. This is a perfect space for pre-dinner drinks and has easy access to the adjacent drinks room, which has a drinks fridge, ice freezer, wash basin and cocktails-making kit. 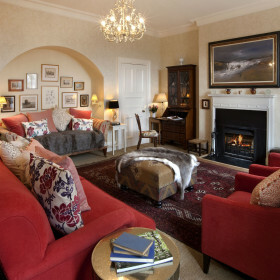 The splendid Drawing Room has an open fire place, particularly cosy on a cold winters night, a large TV with Freeview and ipod dock. 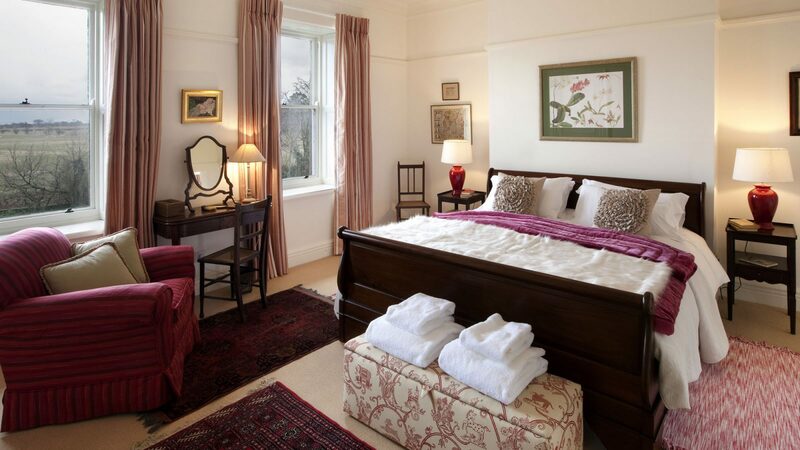 There’s a cosy snug with large flat-screen TV with Sky and DVD player, perfect for family movie nights. 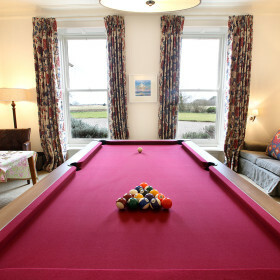 And a games room with pool table, table football, sofas and log-burner. The well equipped, stylish kitchen has an electric Aga, electric hob, two dishwashers, large fridge / freezer, double Belfast sinks, and kitchen island with breakfast bar. 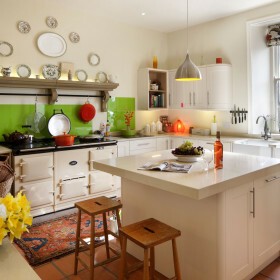 There is also a second cook’s kitchen with large electric double oven with gas hob, large fridge, microwave and a kitchen table ideal for feeding younger guests. Complete with large walk-in larder, and a very big freezer. 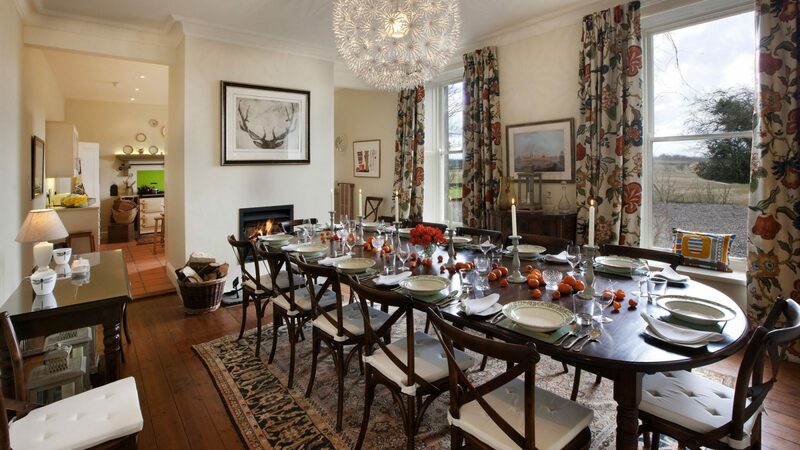 A huge chimney breast with an open fire forms a centrepiece between the kitchen and dining room. 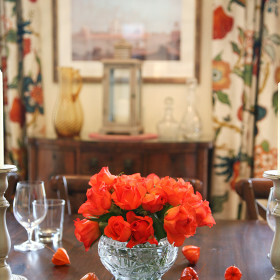 There’s a big dining table which can seat up to sixteen guests. 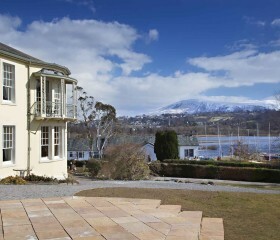 And there is garden furniture for alfresco dining, with stunning views. 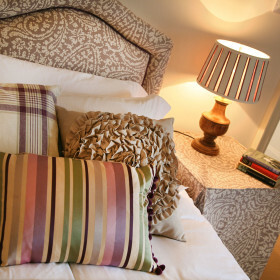 The comfortable bedrooms at The Coast House are all individually themed. There are three bedrooms with super-king beds and five with zip-and-link beds, which can be set up as super-king or twins. 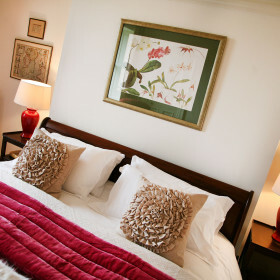 Every bedroom has working shutters, a television with Freeview and DVD, a dressing table, and plenty of storage. 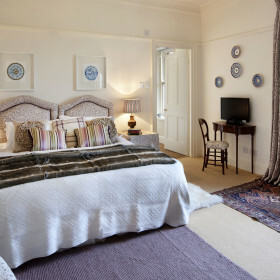 Each of the bedrooms on the first floor has its own en-suite or adjacent bathroom. The two second floor bedrooms share a bathroom, making this floor ideal for a family with children. There are heated towel rails in each bathroom. 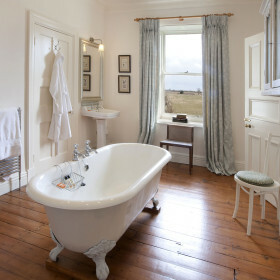 Luxurious White Company Egyptian cotton towels and Miller Harris toiletries are provided for all guests. 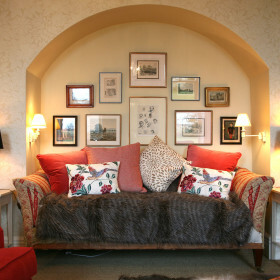 The house also has three cottages close by which together sleep a further 12 guests, for an extra charge. 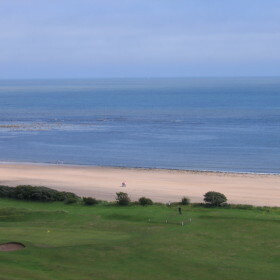 On the breezy Heritage Coast, countless castles and deserted beaches will blow the cobwebs away. Meet the monks and their mead on Lindisfarne, go crabbing at Seahouses, try a famous Craster Kipper.